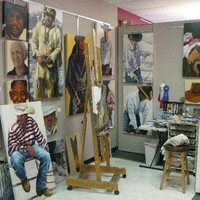 This cooperative gallery represents more than 20 artists and studios with many mediums, styles and subject matter. Parking: Free parking is available. MARTA: Take the Red or Gold Line to the Lindbergh station. Head north on Piedmont Road NE for approximately two blocks, then turn right on Miami Circle NE.